Drake’s new Guardian Elite Flooded Timber Jacket Shell proved its value and stood up to the onslaught of weather conditions I faced this season. From Arkansas flooded timber and Mississippi deluges to a Maine sea-duck hunt, I was pleasantly surprised with the toughness of this waterproof jacket. The exterior pocket placement, built-in neck gaiter, and multiple shell loops made it a valuable addition afield. This 3-inch, 1 ¼-ounce duplex load consists of steel FlightStopper 3s and Tungsten Super Shot 9s (56 percent higher density than lead) to offer consistent patterning and additional knockdown power. I’ve witnessed these loads handily put down common eiders—some of the toughest ducks out there—and also wreak havoc on white-fronted geese in Arkansas. Federal Black Cloud TSS may not be an every-hunt choice, but it could be an option for low-volume days where taking advantage of shooting opportunities is key. 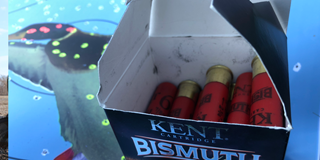 A Texas teal hunt this past September opened my eyes to the functional capabilities of the 28-gauge and Kent Cartridge’s 2 ¾-inch Bismuth 6s. This proved to be a deadly combination for decoying bluewings. These hard-hitting bismuth loads were tested on paper, as well as acrobatic blue-winged teal, and exceeded expectations across the board. Never having shot a 28-gauge, my skepticism soared as I was handed this ultra-lightweight (a little over 6 pounds) gun on a Texas teal hunt. 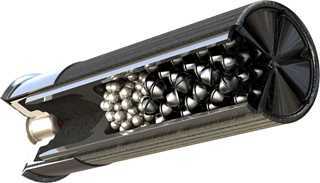 Even in the dark, the shells felt odd between my fingers as I pushed two into the magazine at shooting time. After the first flock, the slim-fitting gun changed my mind immediately. The SA-28 chewed through ammunition and put bluewings on the duck strap, earning the 28-gauge a spot in the duck blind. This versatile waterproof bag serves as a perfect everyday catch-all for the blind. 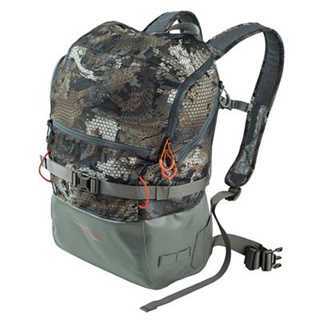 The spacious main compartment and multiple zippered pockets offer plenty of storage, and the backpack straps, hook, clips, and shell loops make it easy to carry and stow this bag anywhere. When I received the box of Higdon’s new shoveler decoys I wasn’t sure I’d add them to my field spread, but they have become a must for my everyday shallow-water spread. These decoys light up the whole set, even on cloudy, foggy mornings where decoys can become lost in the gray shroud. As the season creeps to a close and I pare down my spread for late-season realism, I find myself tossing mallards to the side and keeping these shovelers in the mix. The Filson Tin Cloth hat has been a mainstay in the waterfowling community for years, but 2018 saw a new version of this classic in Mossy Oak Shadow Grass camo. 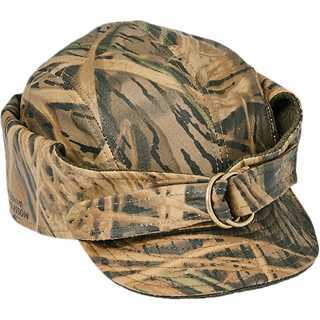 Out of necessity (I’d forgotten my lucky cap at home) I grabbed this hat off my dashboard and rushed to the duck blind. Rain or shine, this hat quickly became my new “lucky” headwear and has kept my ears covered and toasty warm on even the coldest hunts. Four mornings in the Alberta Parklands was enough to convince me that the A400 Xtreme Plus was a next-generation duck gun. Out of the box it handled well, and the streamlined grip and fore-end felt good on the swing. We spent those four days employing diverse shooting styles and targeting multiple species, making it a true firearm test. By all accounts, the Beretta A400 Xtreme Plus was a handy tool to have in Alberta’s target-rich environment.